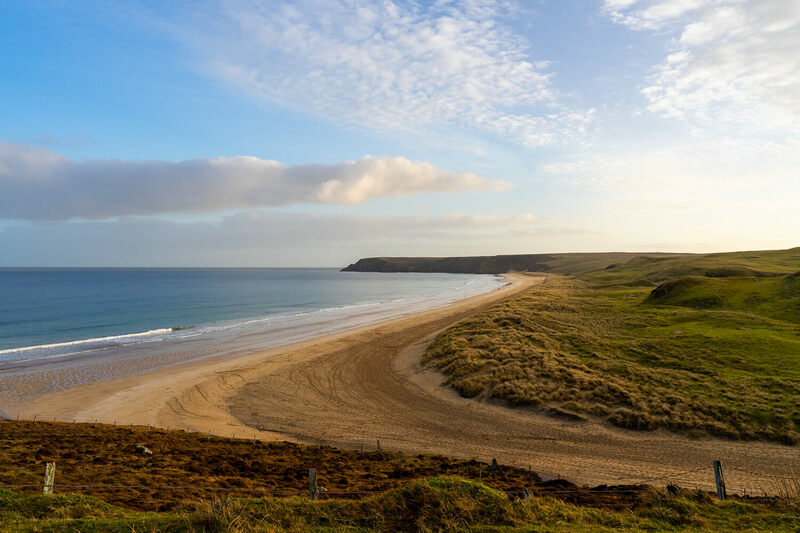 One of the greatest perks of living on or visiting an island is the number of incredible beaches that surround you, and the Outer Hebrides beaches are no different. If not at times, a little more surprising. When you think of the Outer Hebrides beaches, you may have a vision of rugged Scotland; lots of cliffs, hills, stony beaches with wild waters, and yes, you will find plenty of those around but you may also come across the unexpected as the Outer Hebrides have some of the most beautiful long, white sand beaches with calm, clear and turquoise waters. Due to the landscape of the islands, these beaches are still more than likely surrounded by those cliffs and hills you imagined and this often harsh juxtaposition just adds to the beauty of the islands making the Outer Hebrides beaches so unlike many others. The Outer Hebrides beaches are named as some of the best beaches in Scotland, and often the world. The beaches and the water themselves are so ingrained in the locals for many reasons, it keeps them coming back and I find that it’s often when visiting one of the beaches that you regain that sense of calm and truly feel ‘at home’, but they also attract visitors from all over the world to see, well, I imagine what all the fuss is about. I consider myself to have been very lucky, if not a little spoilt to have grown up on the West Coast of Scotland, visiting many of the beaches below and often spending full summers hopping from beach to beach on the Western Isles. *Disclaimer – My family are from North Tolsta, so of course I am going to mention not one, not two, but three of the beaches there. But they are the beaches in which I have the fondest memories of picnics, sunny summers and swimming in the sea. They are the beaches that generations of my family have grown up visiting and continue to do so. And they are just really lovely beaches. Traigh Mhor – Pronounced as ‘try vohr’ (remember to roll your r’s) this translates as ‘big beach’ in English from Scottish Gaelic. This is a lovely beach with endless (perhaps not endless, but around 2 miles) flat sands. There are some great vantage points and fantastic views. As an adult, it’s such a lovely, peaceful beach to walk along and ‘shoot the breeze’ as they say. 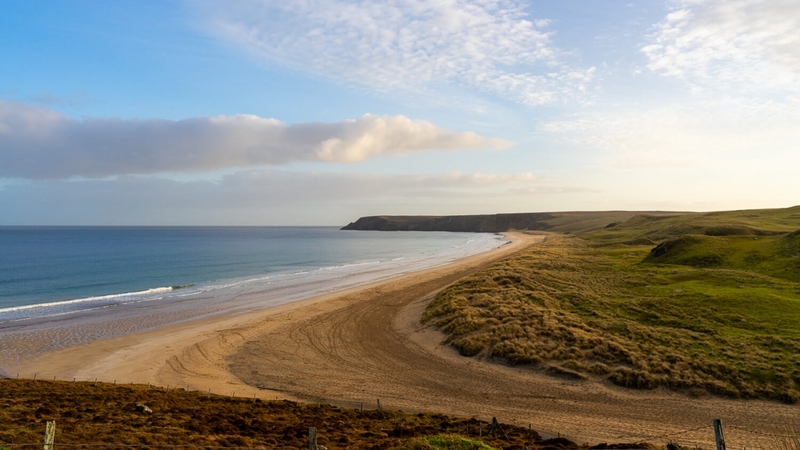 Garry Beach and Tolsta Beach – There are caves, sea stacks and plenty to explore if you are visiting with a family. Ardroil Beach, Uig Sands – The infamous beach on which the famous Lewis chessmen were found all those years ago. Try and catch the beach while the tide is out to have some fun exploring. Dalbeg Beach – Traigh Dhail Beag – Pronounced as ‘try dal bick’. Facing the North West and Atlantic. Another great beach to visit on a nice day, but the waves here are strong and do crash, especially in colder weather. Dalmore Beach – Traigh Dhail Mhor – Pronounced as ‘try dal vohr’. Dalmore beach in Carloway, a short distance from Dalbeg beach and again facing the North West and the Atlantic. This beach is very special to me, it is also a popular spot amongst surfers and bodyboarders and great for a seaside barbecue but beware as the waves do crash and roll in very quickly. This beach is great for exploring with children in calm weather, but the current is strong so do beware. This is also the beach that the Transocean oil rig washed up on, if you remember that. Mangersta Beach, Uig – This is one that I would recommend to those who like photography, it’s also an experience to see. You can really appreciate the beauty of the beach and impact of the sea as it crashes onto the cliffs and sea stacks. The exposure on this beach means that the weather and swell is generally quite wild. Although I grew up in the North of the Western Isles, on the Isle of Lewis, I cannot deny that it’s our friends in the South, on the Isle of Harris that have the most spectacular beaches. The beaches on the Isle of Lewis are truly beautiful and although I highly recommend visiting any of the above names beaches and more, as a tourist, I suspect it’s the many pictures and videos of the beaches on the Isle of Harris that may have caught your eye, and for good reason. Luskentyre Beach – To me, this is the best beach on the Isle of Harris and plenty of others must agree as this is one of the most popular beaches in the Outer Hebrides. I’m sure everyone has their personal favourite but this is probably one of the best known, so it may seem an obvious choice but this is my happy place. It’s just dreamy, the beach is like one straight from the Caribbean but it’s equally very Scottish. This is a beach that you have to experience, the very cold but clear and turquoise waters, white sand and you often see the two white horses on the beach making it seem ever more magical. Picture perfect. Huisinis Beach – Pronounced as ‘hoo-shi-nish’. While Luskentyre is my favourite beach, Huisinis is the top choice for many others. Huisinis beach lies at the end of a 12 mile, single track, very windy road. I would firstly recommend that you only attempt this road if you are a confident driver and I would advise you not to take any large vehicles. I don’t say this to put you off visiting but it’s quite a challenging road if you are not used to similar drives. Scarista Beach – From many of the beaches in Harris you can see Taransay, (a deserted island that was used for the reality tv show ‘Castaway’ many years ago) and Scarista beach is no different. With 3 mile long golden sands and flowering machair this is a really lovely alternative to the more popular tourist haunts like Luskentyre. These are just some of what I believe to be the best beaches in the Western Isles, over on the Outer Hebrides. There are so many more to mention but I think this is a good start for those looking to visit these beautiful islands.